Forty five years ago today, Columbia orbited the moon, while after a precarious descent the Eagle landed on the lunar surface. With the words "Houston. Tranquility Base here. The Eagle has landed." we truly became a spacefaring civilization. The world eagerly watched as mission commander Neil Armstrong and LEM pilot Buzz Aldrin took those first tentative steps onto humanity's first other world. Meanwhile aboard the command module Columbia, CM pilot Michael Collins was the loneliest man who had ever been. 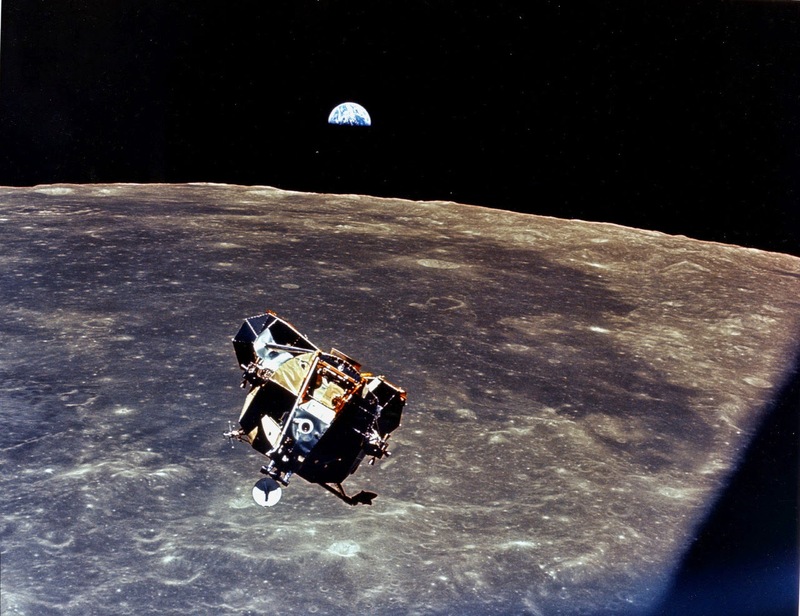 He framed the whole of humanity within the lens of his camera and flew alone, above the moon. the excitement of the Apollo XI mission. This book kept me on the edge of my seat and gave me goosebumps. 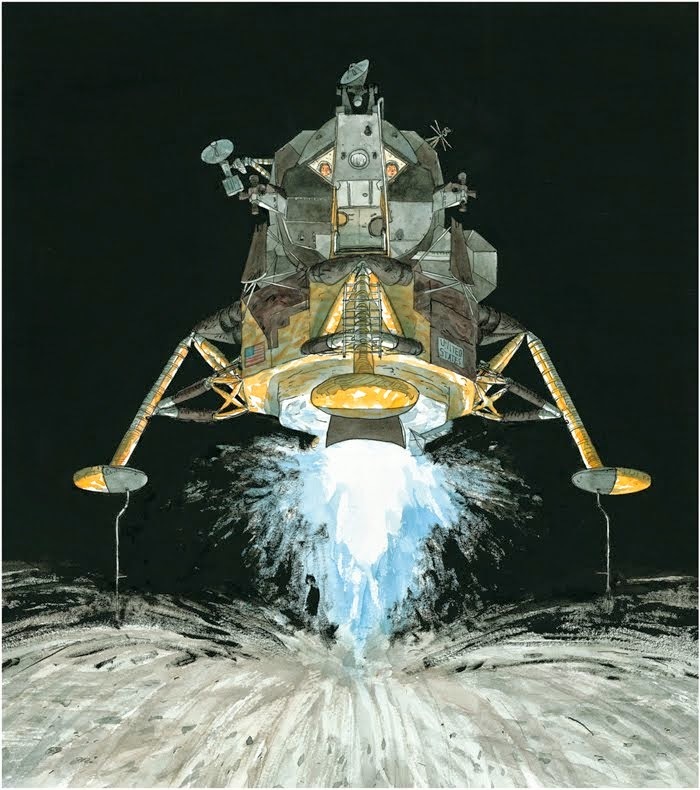 I can think of no better way to share my awe for the majesty of human space flight with my son than by reading him Moonshot: The Flight of Apollo 11.